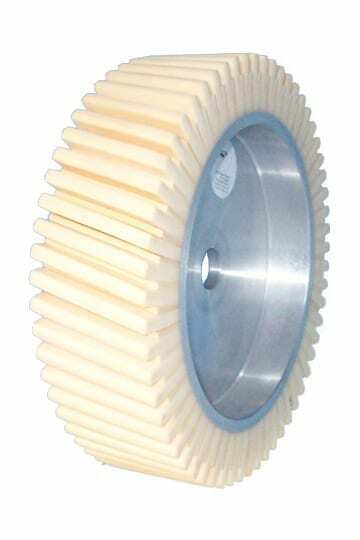 The contact wheel FAPI-PUS OPEN is a further development of the dense design. Here the aluminium core is coated alternately with a long and short polyurethane foam lamella. The overall height of the coating is also adaptable to the respective application and is therefore variable (standard: 35 mm). Because of the variant of the open design, the abrasive belt can better cool because the heat from the belt sanding process is better dissipated. Through the precise adaptation of the extremely soft running cushion to the workpiece that shoud be found it is possible to achieve high-performance results when finish grinding. 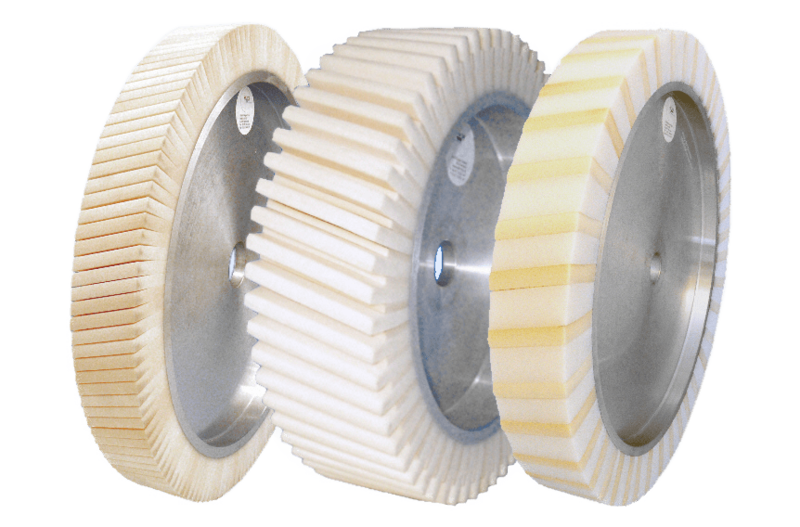 Our contact wheels FAPI-PUS OPEN are used in particular to achieve a high-quality finish on heavily profiled or heavily rounded parts in a very short time.